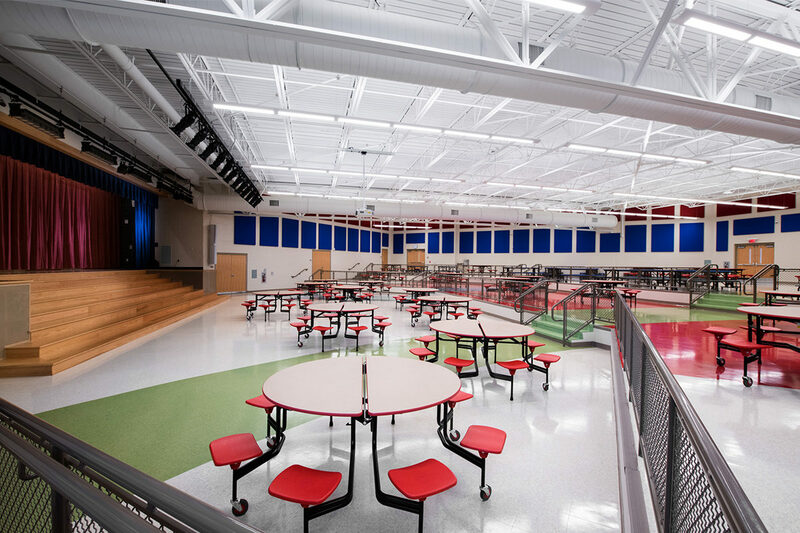 The newly built Northwest Elementary School, K-5, was designed with a STEAM focus to reinforce Science, Technology, Engineering, the Arts, and Math. This emphasis not only appears in the curriculum, but also through the design of the building. 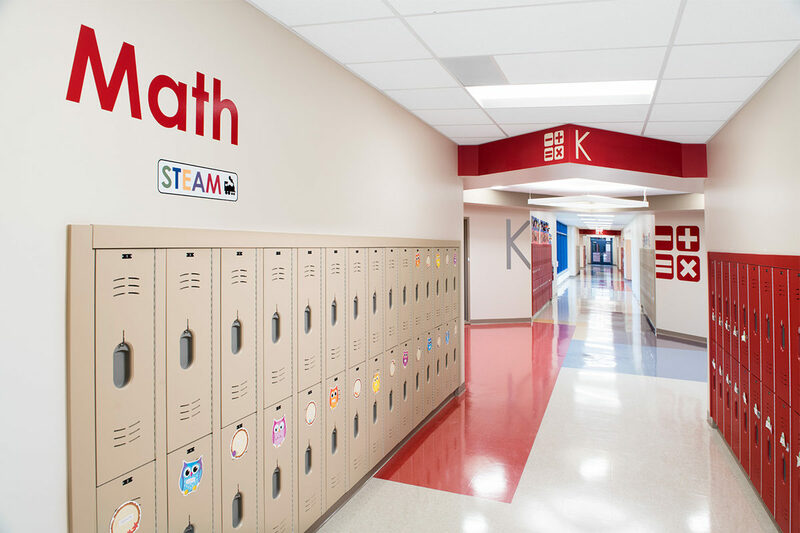 Each wing is dedicated to specific STEAM curriculum and relates to certain grades and classrooms, with thoughtfully considered unique colors and graphics for each. Finishes, materials, textures, and patterning were incorporated with respect to each of the STEAM wings and significantly assist in wayfinding throughout the building. The range of colors and playfulness of the design connects the children to the architecture. 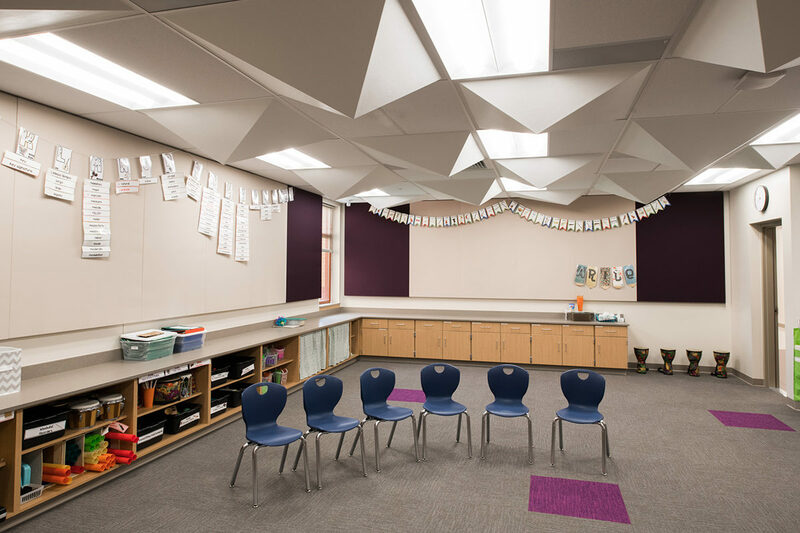 Northwest Elementary School opened for the 2018 fall semester.